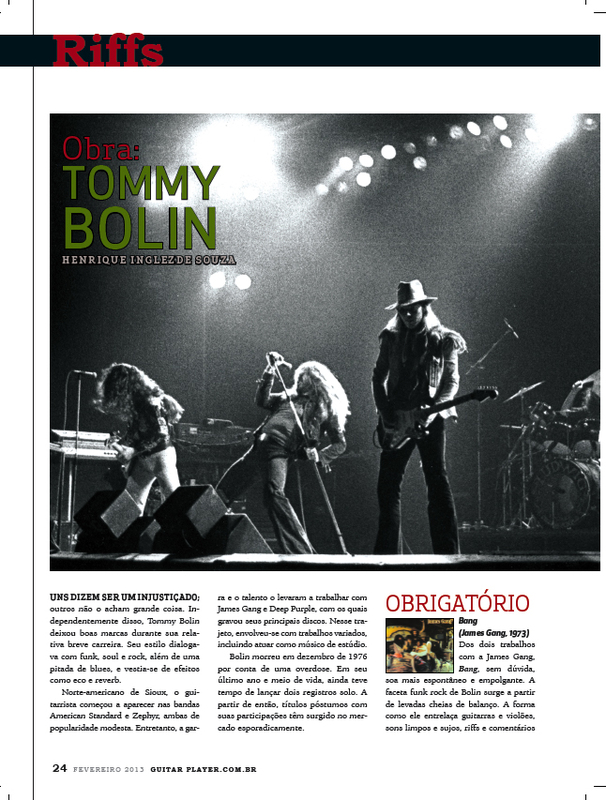 One of my photographs taken in Liverpool 1976 has appeared in a recent edition (Feb 2013) of the Brazilian version of Guitar Player magazine, heading a two page run through his major albums and sessions. If I’d known they weren’t going to retouch the scratch across the negative I would have done it myself before sending it over! Henrique kindly sent me this PDF of the opening page. Tri-X of course (not sure I ever used anything else for concerts)! I certainly developed the film myself, but probably at college rather than home as they had proper drying cabinets.